Medium - $120.99 Only 2 left! Whether you’re going to your next gunfight or costume party, you'll want to make sure you’re dressed for the part. 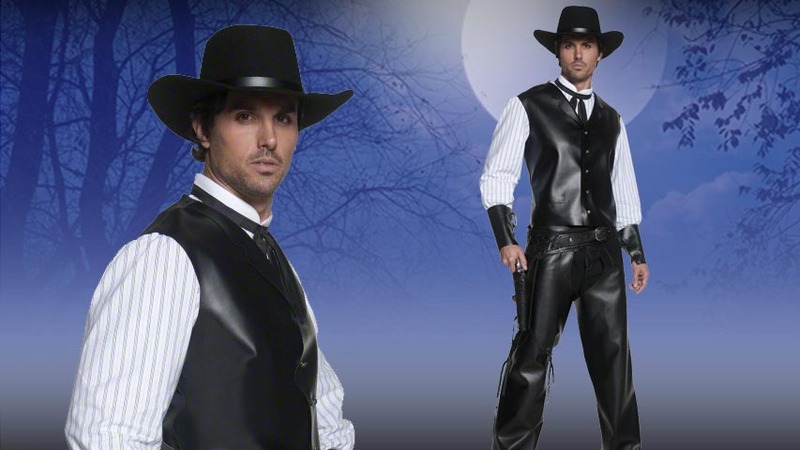 Gunslingers were romanticized in movies and novels since they started disrupting the peace in the Old West. Imagine witnessing the first recorded U.S. dual in 1865 when Wild Bill Hickok and David Tutt’s fateful argument over cards escalated into a gun battle. Well, we all knew who walked away from the duel. Hickok pleaded self-defense and was acquitted one month later. We believe gunslinger success requires about 50% luck and 50% talent…but you never know when your luck will run out! Back when stagecoaches and steam engines were the main mode of transit, these outlaws were out creating their own wiley reputation—one gunfight at a time. Imagine coming face-to-face with the likes of the Earp Brothers. Do you think you could have held your own during the famous shooting at the OK Corral? If you took Wyatt Earp’s words of wisdom to heart, you’d agree that “the winner of a gunplay usually was the one who took his time.” Very wise words Wyatt, but we all know what happens when you take a few seconds too long! 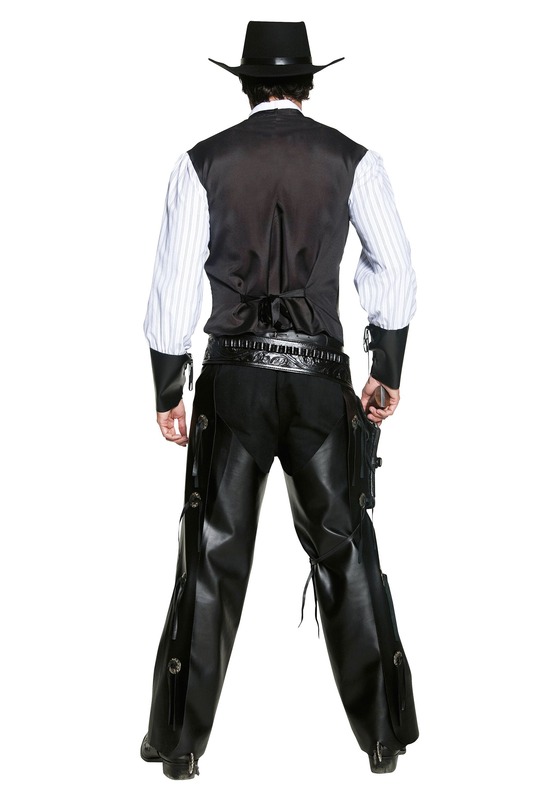 You should at least take your time to look as gussied up as you can—then you would look like a formidable opponent in this Authentic Western Gunslinger Costume. 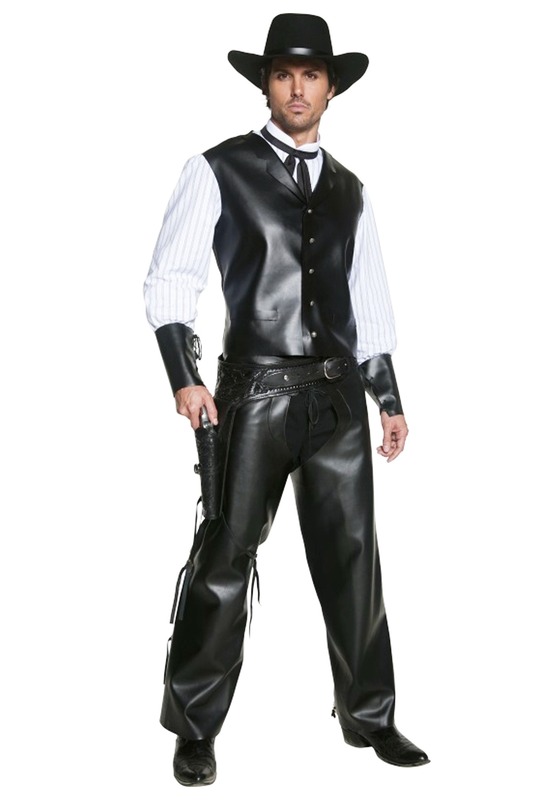 Accessorize your look with a cowboy hat and Maverick Gun Holster Set. You might just earn your own reputation and a knick name like Quick Draw You'll have to find your own trusty horse, and even more important...be cautious of who you choose to duel if you ever want to ride into the sunset again!